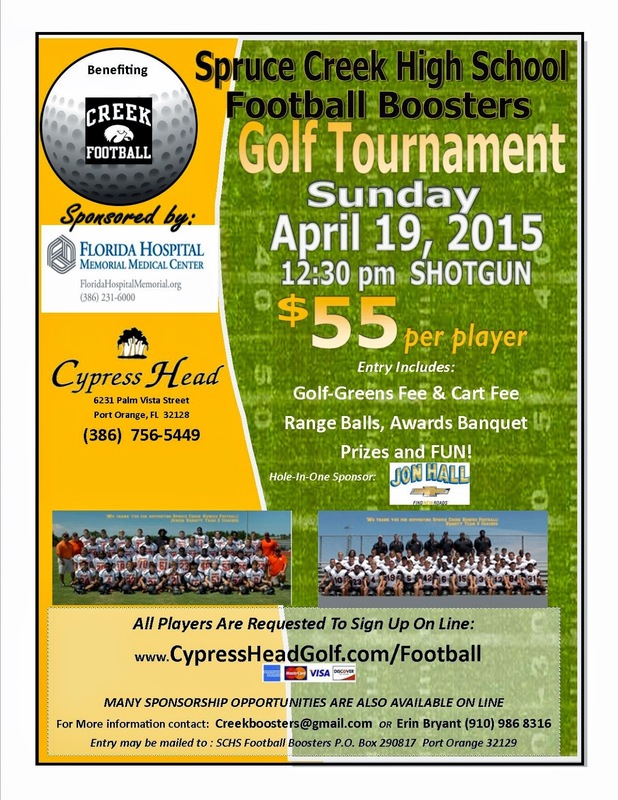 Interested golfers can sign up at www.cypressheadgolf.com/Football. Only $55 to play or $200 for a 4-some. It's a bargain and we have lots of great prizes! As you are probably already award, Volusia County School Board's policy has been NOT to fund school athletics for our students. Our football program helps fund all sports at SCHS High School.